When I learned about eating clean, I also learned that what we put on our bodies is just as important as what we put in it. Our skin, which is our biggest organ, needs good, clean, tlc. Skin care shouldn’t have lots of chemicals and ingredients, but we buy it for convenience and because of the claims companies make promising a healthier, more youthful glow. There are ways to live super clean but I’ve got to be honest this has been the most challenging part for me. There is just so much I need to change. I have decided to start small and where I can. This body butter has been so great to use. I put it on once and don’t have to think of putting anything on again. It has literally 4 ingredients. 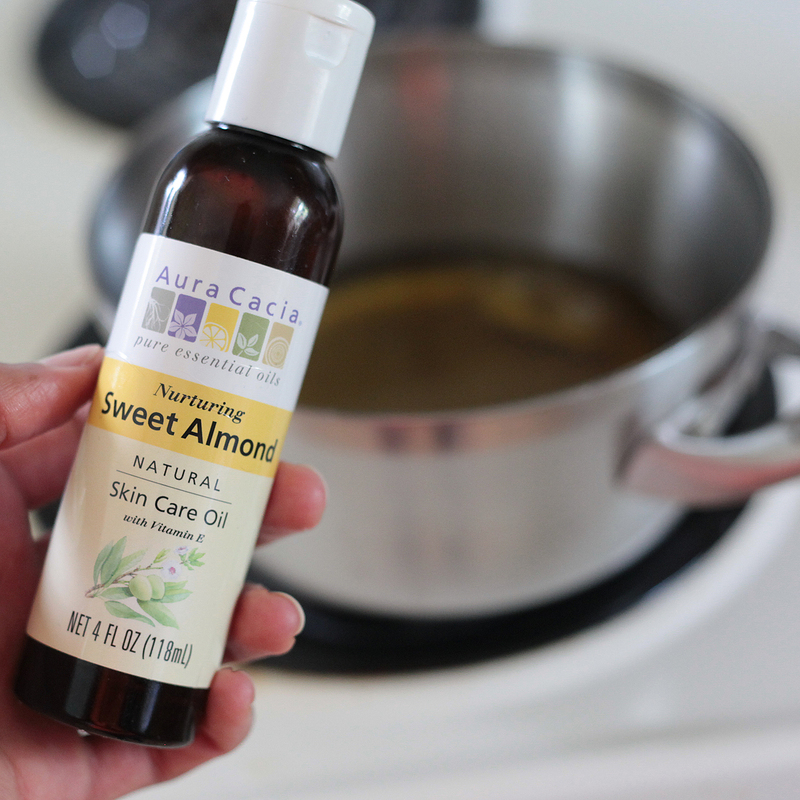 I love it because you can add any essential oil or oils you like. There are essential oils good for relaxation, energy, mental alertness, headaches, mosquito repellent, etc. Look for what you’d like to use it for and google “essential oil uses.” One of my favorites is lavender. Lavender is great for my daughter. She has excema and lots of chemicals irritate her skin. The lavender is good for relaxation and to wind her down. I love using it too. (Side note: Since going gluten and dairy-free, she has not had an excema flare.) 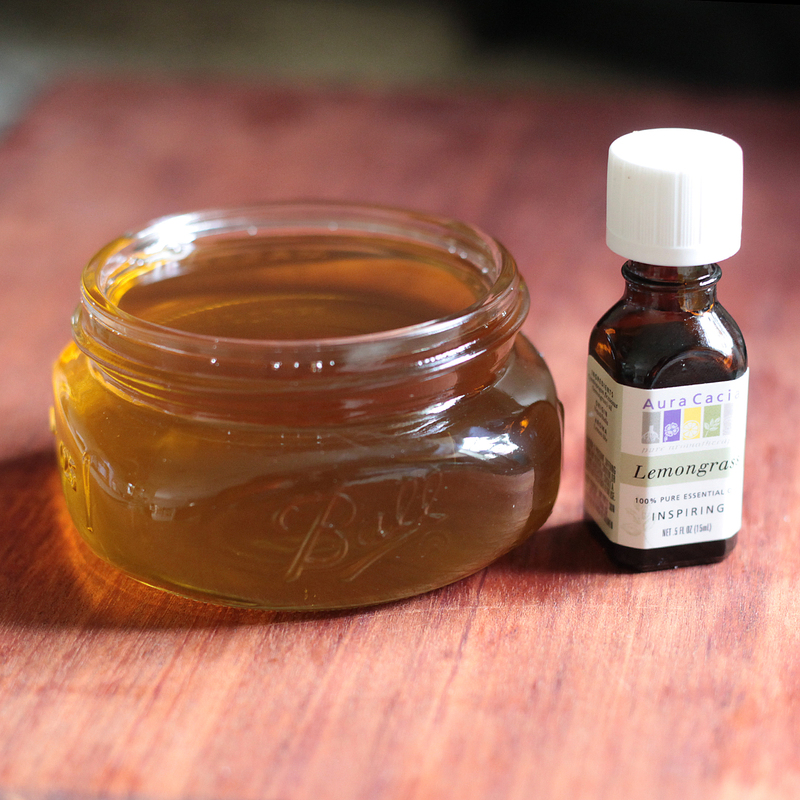 We add lemongrass and eucalyptus oil for mosquito repellent. Imagine not getting bit at all without putting on insecticides. Well it’s possible with essential oils. 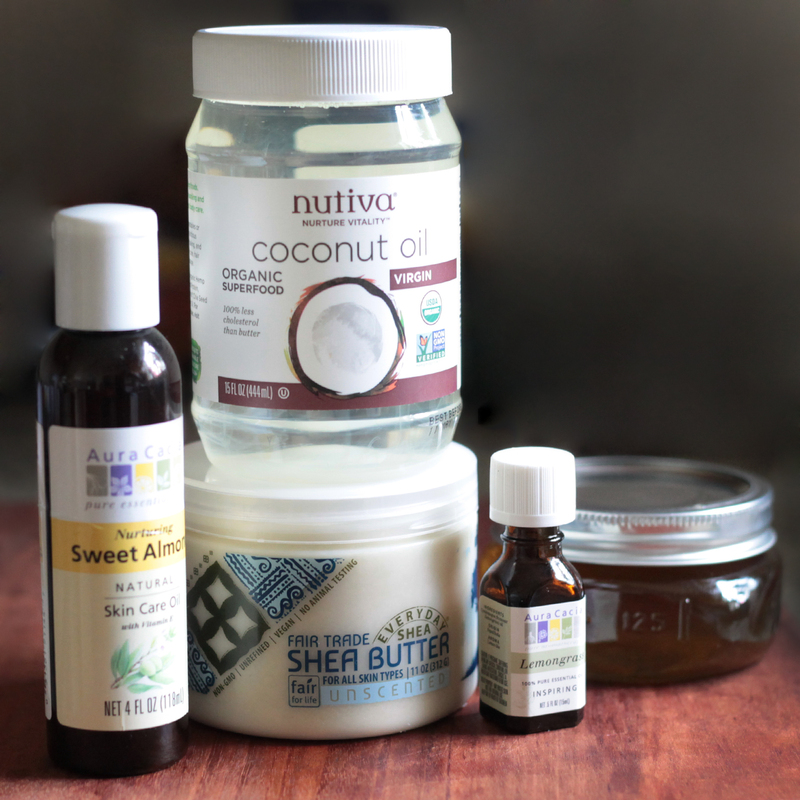 I have been using coconut oil for my skin for a long time so I’m used to an oil skin routine. You should use very little and let the skin absorb it before you think about putting more. It is very different from regular lotions. With lotions you put on a lot and can let the excess dry up. 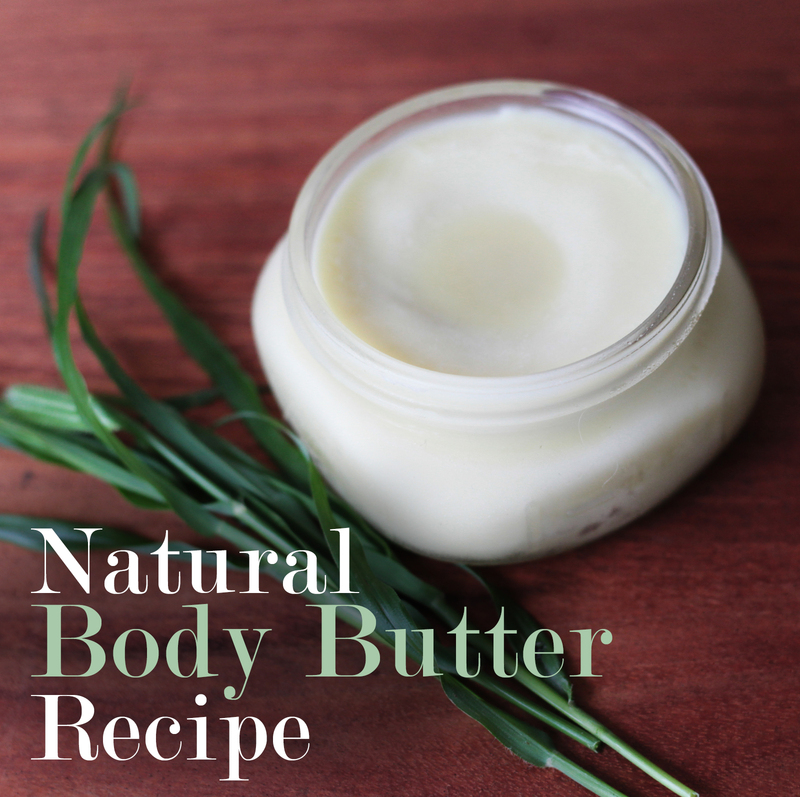 With this body butter you put a little and add more if needed. 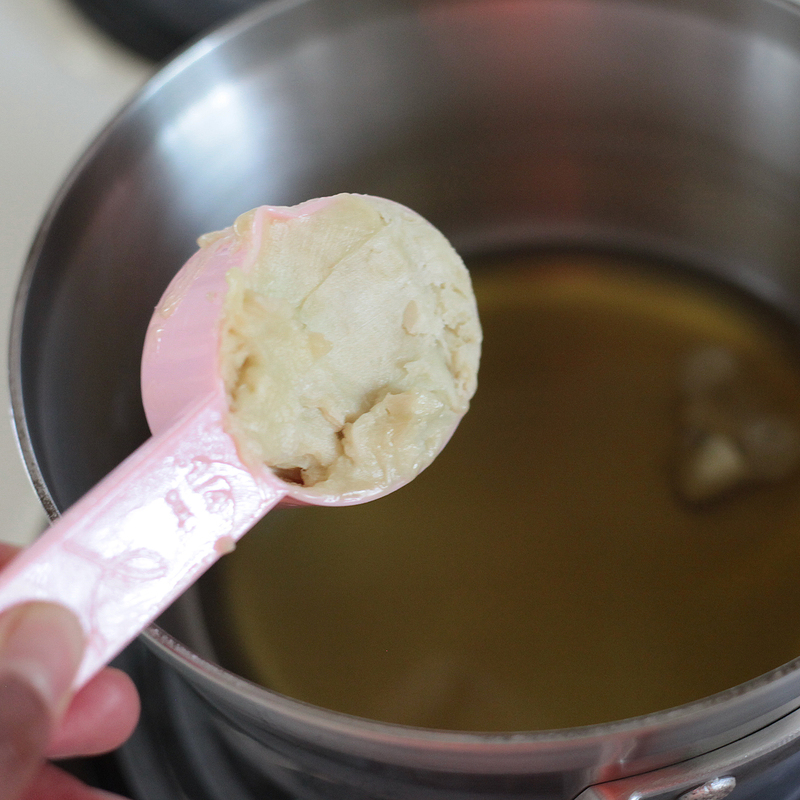 Pour all ingredients except essential oil(s) into a small pot on low heat until melted. Remove from heat. 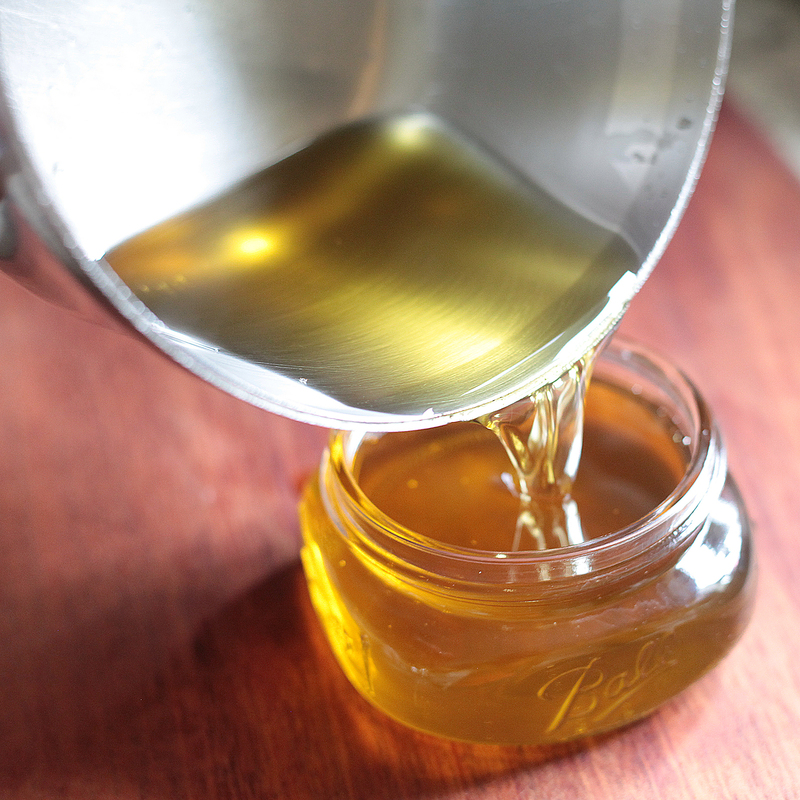 Add oil(s), mix, and pour into a wide-mouth mason jar or two. Refrigerate for about 2 hours. It is ready to enjoy. HOW TO USE: Use a dime size amount for both arms. This is an oily body butter and you will quickly regret scooping it out with your whole hand. Same thing for the rest of your body. It’s better to have too little and have to get some more than to grab too much and have to stand the rest of the day so you don’t leave grease spots everywhere. Trust me! As long as your house is usually cool, body butter will remain firm. If the room is warm it will soften and you can refrigerate it again to firm it up.